Dusty has been on a roll. Three weekends in a row of racing and three top finishes. 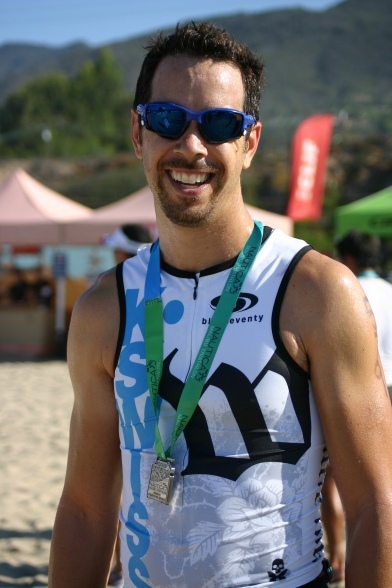 At the Nautica Malibu Triathlon he won his age group and did his longest run of the year. The next weekend saw him mosey over to Bend, OR for the Leadman 125. After leading the race out of the water, he finished 11th overall, won his age group while doing his longest run of the year. This weekend was the LA Triathlon. Dusty turned in the 2nd fastest swim and bike to hold onto 2nd place in his age group. Three races, 2 age group wins and a second place. Not a bad three weeks of racing. 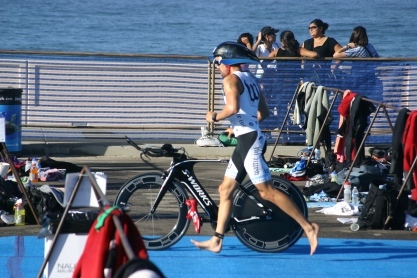 His swim and bike times have been 5-8 minutes faster then previous years over the same courses. He’s looking forward to big things next season, his competition…not so much. The Augusta 70.3 race just wrapped up. 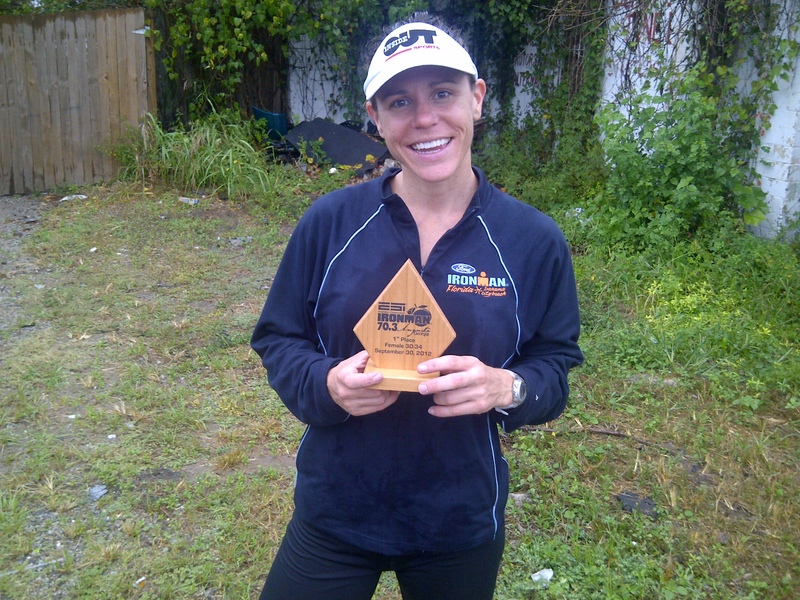 For the second time this year, Jenny topped the entire age group woman’s field at a 70.3 race. First at the Muncie 70.3 and now at the Augusta 70.3. 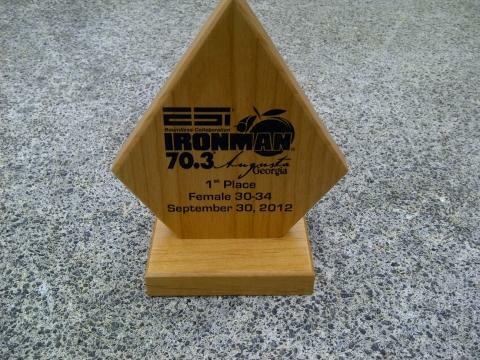 Of course this means she also won the F30-34 age group, again. This is the first time she’s been able to win in this manner in a long course race. In years past she’d come off the bike near the top of the age group race only to drop down the results sheet on the run. But times are a changing! She not only ran herself up the results sheet, she ran almost 5 minutes faster in a half then she’s ever run before. When pressed from behind she held until the other girl broke. Now maybe those emails worrying about her running will stop. you know those emails will never stop. chicks….